In a large bowl mix together ¾ cup chia seeds with 2 cups coconut milk, 1 cup water and one teaspoon vanilla essence. Next day, stir ¼ cup honey through the mix. Add a little extra water if mixture is too thick. Puree two chopped mangoes (reserve a handful not pureed) with 1 tablespoon lemon juice. Place half the puree in the base of four serving cups or glasses. 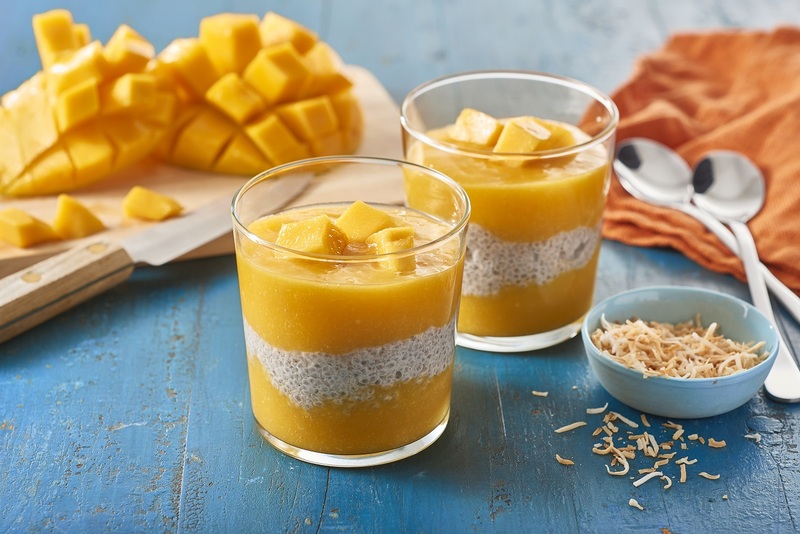 Divide the chia pudding mixture over the mango puree, then top each glass with remaining mango puree. Serve puddings garnished with extra chopped mango and toasted coconut.